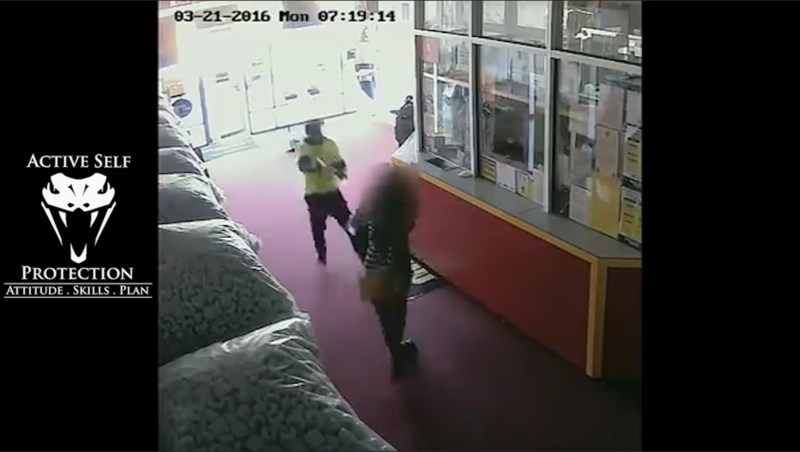 We say all the time that when an armed robber has a gun on you, you MUST do what it takes to EARN your draw. This officer shows us why, and why we continue to remind the Active Self Protection community of the importance of using your hands to fight your way to your gun in this kind of incident. 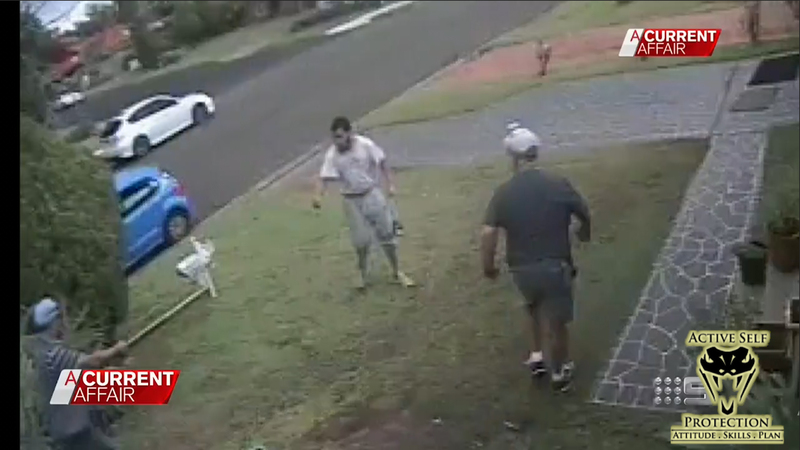 In the moment an armed robber attacks you, you must look for your opportunity to protect yourself. 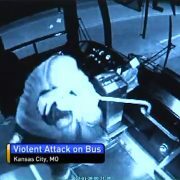 It is strongly possible that the moment of the attack is not that moment. You want to wait for the time that the armed robber is not focusing on you to act with decisiveness to protect yourself. When you’re drawn on and the subject of the attention of the armed robber, you are really behind in the fight and that’s not the time to fight if at all possible. If you do not have the attitude, skills, and plan to protect yourself from an armed robber, then your only option is to submit to their demands and hope it works out for the best. I would never suggest that a helpless person try to defend themselves against a carjacking or armed robbery, though of course if it’s a matter of life and death you must do whatever you can. The point, though, is not to be a helpless victim! This is the heart of Active Self Protection, to motivate you to train and help you develop the attitude, skills, and plan so that you can choose to protect yourself if it makes sense in the moment rather than being forced into compliance with a violent felon. Empty-handed skills are absolutely critical for self-defenders. First of all, more conflicts you will encounter as a self-defender will require empty-handed skills than will require firearms skills, simply because more self-defense encounters are physical than deadly. Second, since a firearm is a tool of last resort, self-defenders need to have non-lethal options that include empty-handed skills to protect themselves from likely incidents. Third, in the moment of the encounter you may not have the time to get to your gun before you can fight your way to it. In this active shooter incident the women were unarmed, but had they had empty-handed skills they might have been able to disable that gunman! Spiritual fitness is an important part of Active Self Protection. You don’t often get any advance notice of the last day of your life, but we see over and over that self-defense isn’t a guarantee of winning every fight you might be placed in. You want to be at peace with your loved ones and with God, because you’ll need that peace on the day that you meet Him. Since you can’t guarantee advanced notice, make peace today. An armed robber pointing a gun at you is by definition a time of deadly force, and you won’t get time then. So love your family and make peace with God so that you’re prepared on a spiritual level. The Five Ds are a tool that we use at ASP to organize our training and preparation for defending ourselves against an armed robber or other attacker when we are not armed ourselves. (or if we are armed but outdrawn such that we must deal with the problem with our hands) Deflect, Dominate, Distract, Disarm, Disable. We pursue them from first to last, in order, to give us the best chance of successfully defending ourselves against an armed opponent. Deflect their force multiplier, Dominate as much as possible (best is the whole person, second is the arm with the tool, last is the tool itself), Distract the attacker (usually using pain, redirection, movement, etc. ), Disarm the attacker, and Disable the attacker. Unfortunately the armed robber used the Five Ds here rather than the victim. Marksmanship matters! 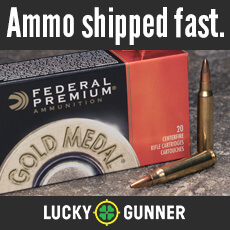 The old saying is quite true: you can’t miss fast enough to win a gunfight. As a self-defender you need to practice and train to put your first shot on target as fast as you can, but the key is to put as many shots on target as possible. 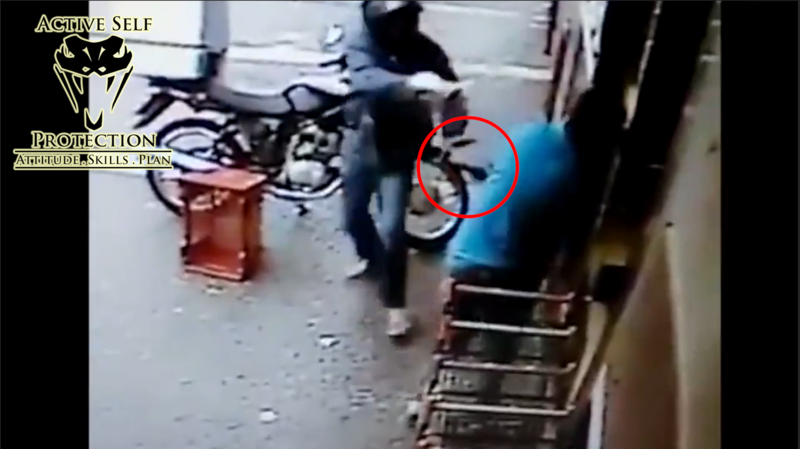 In this fight the armed robber got the first shot on target and therefore won the fight. Train and train and train to get that first shot on target.